One of the reasons I wrote Einstein’s Compass was to share with people ways in which they could learn how to be more creative in their lives. A truth I learned about Albert Einstein was when he attended Aarau High School in Switzerland his teacher instructed Albert and his fellow students on how to increase their personal power of thought and imagination through thought experiments. I believe that through his thought experiments Einstein intuitively received his theories that changed the world. I wanted this chapter in particular to give anyone reading possibilities of what can be accomplished through surrendering into a higher awareness. 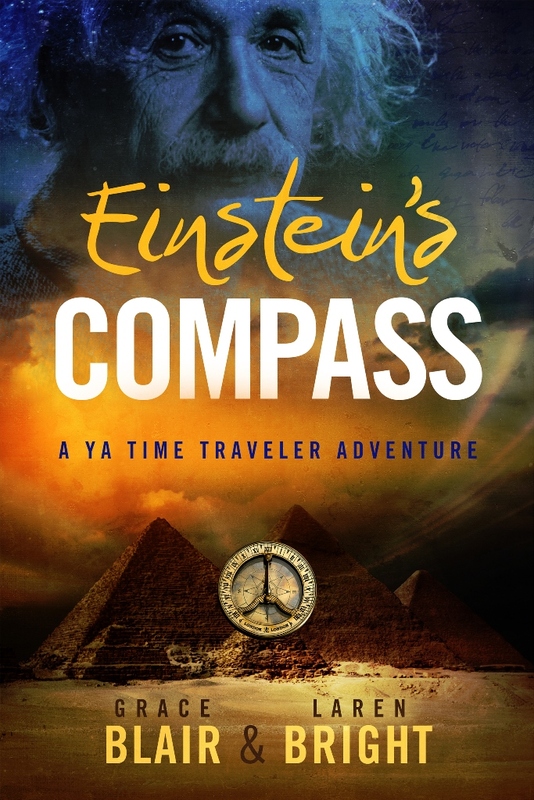 I followed similar practices to write Einstein’s Compass. Six male students in their mid-teens dressed in wool suits, starched white shirts, and blue-and-yellow neckties sat two by two in a single row, anxiously awaiting the start of class. 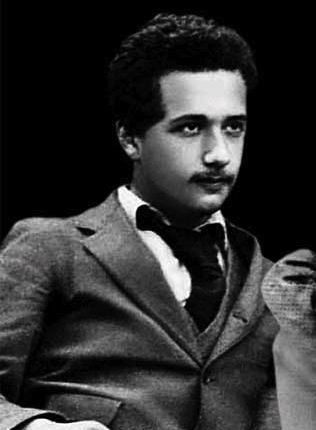 Albert had enrolled in Aarau High School after his unsuccessful attempt to enter the Polytechnic. Of course, he had passed the math and science section of the exam with flying colors. Yet the test showed Albert needed more study in languages, biology, literature, political science, and botany. While somewhat disappointed with the test results, he saw it would only take a year at Aarau before he could get to the Polytechnic, and he was okay with that. The smell of fresh white chalk stimulated Albert’s mind. He focused on the three Hs the headmaster, Professor Winteler, wrote on the blackboard; the principles of teaching the school followed. Heart – to explore what students want to learn. To develop their moral qualities, such as helping others. Head – to understand objects, concepts, and experiences. Hand – to learn the craft of doing good work and develop their physical skills. In the front row, Albert relaxed. For the first time in his school life, the reject from the Gymnasium in Germany felt connected. “I do, sir,” the boy said as he stood. The students did so and waited for the next direction. Albert sat with his back straight though he was relaxed, surrendering his mind. Lost in the experience, the dreamer did not even hear what the teacher said next because he found himself enveloped in a warm glow, and he felt like he was rising above the Earth. A motion caught his awareness, and he glanced to the side. Next to him flew a graceful, towering, luminous being with flowing, golden hair. Somehow, Albert sensed it was an angel. The angel’s violet eyes gave the dreamer a loving smile, and Albert surrendered more fully to his experience. Archangel Michael offered Albert his hand, and Albert gently grasped it. The sound of angels singing “Glory to God in the highest” rang out over the universe. The veil of time opened, and Albert found himself floating down onto the emerald-green grass in the Garden of Remembrance. As he attempted to take it all in, Albert saw a figure standing nearby. It slowly turned, and Albert was filled with joy to recognize his friend Johann. Somehow it all seemed perfectly right, though unreal at the same time. With a mischievous smile, Johann reached out and pinched Albert on the arm. Johann nodded, still smiling. “It’s real all right. Just not the reality you’re used to.” In the months since his death, Johann had become more confident about what he knew about the realm in which he found himself. Johann became more serious. He took Albert’s arm and guided him along the shore of a nearby pond. “We have to talk, Albert. Albert did not know how to respond. He wondered who would believe him if he told them what happened. He kept his mouth shut and barely heard the answers from his classmates. He was lost in his thoughts about seeing Johann and wondering just what could be so important that he would be called to that place… wherever—or whatever—it was. Grace Allison is an award winning self-help and motivational author who has assisted hundreds to find their spiritual wisdom to solve everyday challenges. Is Ophelia Hamlet’s ‘Holy Grail’?